Ok, after almost a month and a half doing some off-line stuff such as repairing my apartment, I am back in the online business. There is one big difference after this period – I quit my daily job and I decided to become a freelancer/entrepreneur. Well, this was planned form a long time ago and I think it’s normal in the professional evolution – to try to be independent, to try to do things which you like and not, because you should do them. Probably there will be voices saying – well, doing your own business you have more responsibilities. Yes, it’s true, now I wont have 1 employer, but I will have all my clients, but this also give you a freedom to plan and to accept tasks depending from your mood and availability. Anyway, I feel optimistic and really think this step need to happen sooner or later. The time will show am I right or not. What is the first think which I should do? This I think it’s an important step following the first one – the decision. So far I did a freelance work, but I never try to find such work. With other words most of the projects comes from my friends and people which I’ve worked in the past and knowing my skills. I never had a portfolio /at least serious one/, I never had website showing what I can do and what I could provide to my potential clients. So, this is the first step. Some marketing materials need to be produced. It’s true that no one can buy you and your services, without knowing your previous work or at least without seeing what you can do. This also mean that I will have more time to update my blog by adding more content related to CakePHP, because I will use this framework in the future as well. This entry was posted in General and tagged decision, entrepreneur, entrepreneurship, freelance, New job, Nik CHankov, Personal on June 10, 2008 by Nik Chankov. When I started my new job as I mentioned earlier, I got brand new laptop – Lenovo 3000 n200. The machine is quite powerful, but unfortunately it show a defect in the beginning – halted unexpected on OS start and because I throw the wrapping box, the supplier refused to change the machine with new and they suggest to repair it /In fact this is the second reason why I was so quiet last month ;)/. Quite strange practice – to keep the wrapping box. Imagine what we should do with other desktops, printers, servers and even a rack, if we need to keep all these boxes in the office!!! So, I had to return it and now I am using a spare machine with Windows Vista Home Edition installed on it. Well, during these almost three weeks I decided to write about my experience with Windows after almost 2 years on Ubuntu Linux. 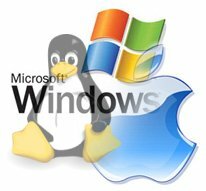 This entry was posted in General, Ubuntu, Windows and tagged Experience, OS, Personal, Ubuntu, Usage, Windows on December 12, 2007 by Nik Chankov. There is a reason why I am so quiet these days. As “many” of my fans noticed in my CV 😀 – I’ve changed my job. I moved in the new company called Insch Quotient. The company is brand new and I was quite busy with organizing the hardware supply and as well as other non development stuff. Well somebody need to do this and who is the best person than CTO which in fact is my new position :). Hopefully soon I will return to my normal mood – infront of the computer most of the time. This entry was posted in General and tagged CV, My new job, Personal on December 10, 2007 by Nik Chankov.